When the Two Tier Wide Log Water Feature is turned on, you'll feel as if you've stumbled upon a beautiful waterfall in the great outdoors. 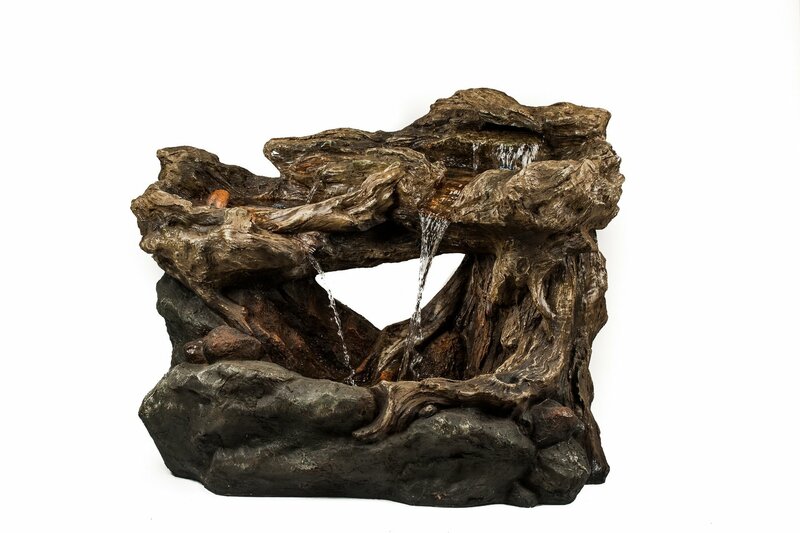 This naturalistic fountain allows water to cascade across two tiers to fill an indoor or outdoor area with a tranquil sound and rustic beauty. The Two Tier Wide Log is designed to look like a broken log balancing on another log and rocks. There are two water falls in the feature: the water comes out at the highest point. When the pool fills up the water runs in two directions and into the pool below. The water feature includes the pump and several LED lights. Stay up to date on all our special promos, latest products and everything else Bergies PLUS receive 10% OFF your first order.